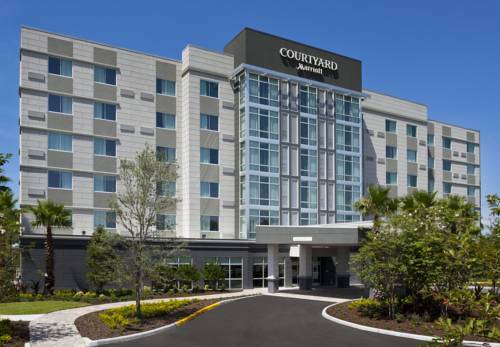 Grande Lakes Orlando, a complex that is owned and operated by the JW Marriott corporation, is a bit of elegance among the sprawl of the modern Orlando metropolitan region. 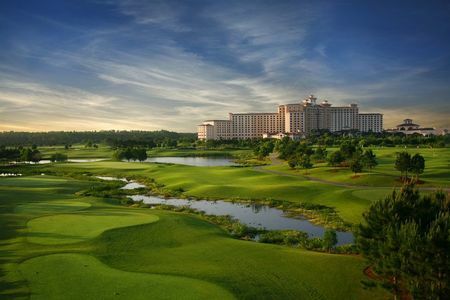 Greg Norman built the course here so that it would be fun and intriguing by excavating the level Central Florida ground. Since the site is part of a Certified Audubon Cooperative Sanctuary, the greens are never overseeded in the cooler season and they remain unsurpassed in the region. The caddies here are very knowledgeable and a real help for getting the most out of the facilities. Five teeing options open the course up to players of all skill levels. For those with children, Disney World is close by, and kids 16 and under play without charge when they accompany adult customers. 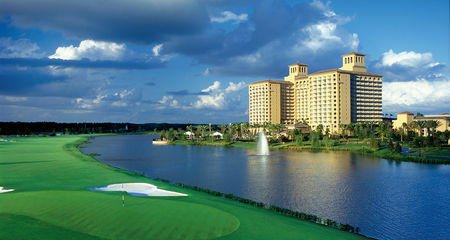 The Ritz Carlton and Marriot Hotels offer a variety of accommodations within walking distance of the course. First class practice facilities and greens on the course. Easy off the tee, can be trick for the second shots. Very forgiving off the tee, nice and wide. Always immaculate condition. Love/Hate relationship with the 18th here. 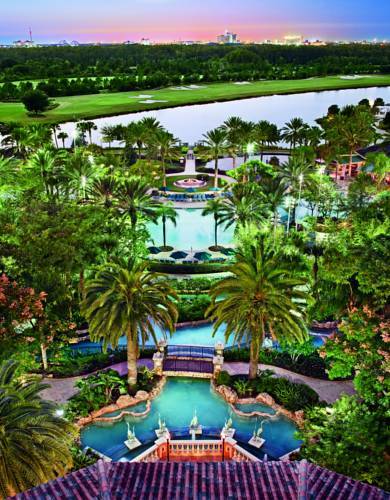 Tiger Woods once testified that the Ritz-Carlton Orlando, Grande Lakes contained some of the finest greens he had ever putted. 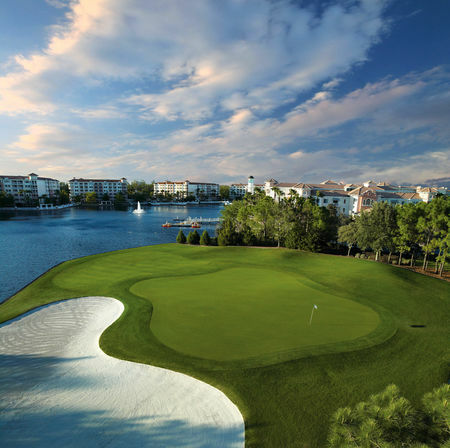 The low-profile Greg Norman design eases past oaks, lakes and wetlands, but it's the service, facilities and conditioning that make it worth the hefty fee. One of my favorite courses in central Florida. Always in great shape, nice practice area and very friendly staff.